Bored with the standard après-ski fare? 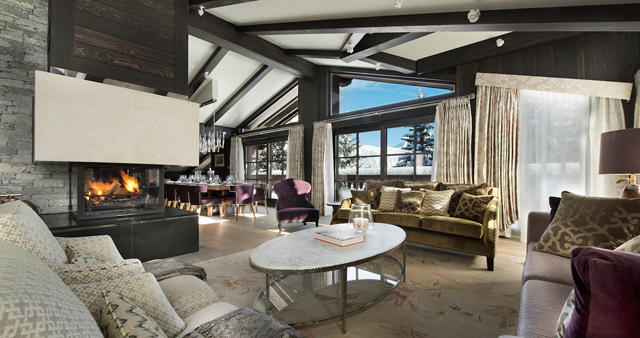 Liz Rowlison tracks down super-chic chalets in resorts dusted with Michelin-starred restaurants. The mountains have not been the most fertile hunting grounds for inspectors from the Michelin Red Guide seeking a helping of pomp and ceremony with their fine dining. The home of hearty fare such as raclettes and rösti, the Alps have historically failed to draw the big hitters in French cuisine such as Alain Ducasse or Paul Bocuse away from Paris and the Côte d’Azur. But, as Alpine ski resorts have drawn a wider international market, and the ever-growing ranks of the world’s super wealthy, the Michelin stars have followed— at least in some cases. Although Courchevel, a French ski town of 1,967 inhabitants, has a galaxy of 14 Michelin stars, Verbier—a Swiss magnet for British royals and financiers —has just one solitary star. Sometimes, culinary innovation is a step too far—an experiment with molecular tapas briefly dazzled in Champéry, but the one-starred C21 bistro formerly on the Swiss border has now closed down. The Swiss and Austrians tend to place more weight on the toques or points from the rival Gault Millau restaurant guide, so it’s definitely in the French ski resorts where you’ll find the bulk of the Alps’ Michelin stars. The Austrian Tyrol is a little scant on Michelin stardust, but ski-borne foodies should head instead to the Italian South Tyrol (Alto Adige) that, at the last count, boasts some 20 Michelin stars. So, for ski-property hunters with a serious passion for haute cuisine, we’ve freshly hand-picked a suitably stellar five Alpine resorts and perused what’s on the menu and on the mar- ket. Bon appetit! To the star-spangled streets of the Trois Vallées’ glitziest resort, where you might not be remotely surprised to find eight Michelin-starred restaurants, with six of their 14 stars acquired in 2014. ‘Michelin stars don’t make people buy in Courchevel, but they are good for the marketing of the resort, thus bringing new visitors and potential clients,’ says Jerome Lagoutte, Head of Savills French Alps.  He picks out Kintessence, but admits the others are exceptional: Le Chabichou, the oldest; superstar chef Pierre Gagnaire at Les Airelles; Cheval Blanc; Le Strato; La Table du Kilimandjaro (all two stars); and the one-starred Azimut (in Le Praz). In nearby La Tania, there’s also the one-starred Le Farçon. Eat Le Kintessence (www.hotellek2. com). Opened a year, Nicolas Sale’s Asian-fusion restaurant in 1850’s Le K2 Hotel already has two stars and entertains Parisians and Russians in dove-grey decor and chandeliers. Try Pan-seared langoustines with enoki mushrooms. 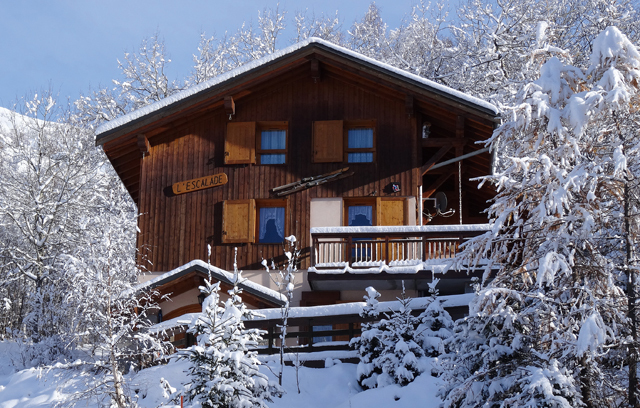 Buy Few of the very best properties are advertised, say Savills, but they do have the 800sq m (8,600sq ft) six-bedroom Chalet Coquelicot right on the slopes (above, POA). Or Knight Frank have Chalet Eden, a state-of-the-art five-bedroom property in Cospillot for €8.1 million (close to Le K2). Lower down in Le Praz, Investors in Property have a three-bedroom duplex apartment for €900,000 or a five-bedroom chalet for €3.15 million. At 2,300m (7,545ft) in France’s Trois Vallées, we find the highest-altitude Michelin stars in the Alps, at Jean Sulpice. The restaurant’s ski-in, ski-out appeal also sets it apart from many others, although one can also ski (off- piste) to the two-starred Michelin La Bouitte, in nearby St Martin de Belleville. ‘The modern decor and statement lighting of Jean Sulpice is refreshing for the Alps and in strong contrast to the rustic Savoyard experience of La Bouitte, but I enjoy dining at both,’ says Francesca Smith-Pangli who offers Michelin chefs at her catered chalet company (www.powdernshine.com) in nearby Reberty. ‘Try the €159 “discovery menu” at the former or the foie gras with balsamic jus at La Bouitte. Try Pigeon baked in a salt crust with chamomile. Buy You can ski to the connected resorts of Les Menuires and Méribel, but, if you prefer a small village, then Investors in Property are selling new ski-in, ski-out apartments from €160,000 in Les Loges de la Vallée in Les Menuires (www.investorsinproperty.com). Set back from the village, tucked between rowans and conifers, you can also get a four-bedroom 150sq m (1615sq ft) chalet for €795,000 through Leggett (above, www.frenchestateagents. com). Or in popular Méribel, there’s a rare opportunity to purchase one of the original stone houses (complete with wooden beams and stained-glass windows) with four bedrooms for €1.8 million (also through Leggett). Long lunches, fur wraps and Krug are standard fare for St Moritz and the historic Swiss resort offers a suitably varied choice of Michelin-starred restaurants, with a heavy flavour from nearby Italy. Talvo by Dalsass is located in an ancient Engadine valley farmhouse and is ‘a great restaurant with the cosy feel of a traditional wooden chalet with a delicious menu,’ says Andrew Langton of Aylesford International. Rolf Fliegauf’s Ecco on Snow at the Giardino Hotel (gold-leaf walls; Baroque furniture) has two stars. You can go fully Italian at the Kempinski’s Ca d’Oro or Da Vittorio at the Carlton. 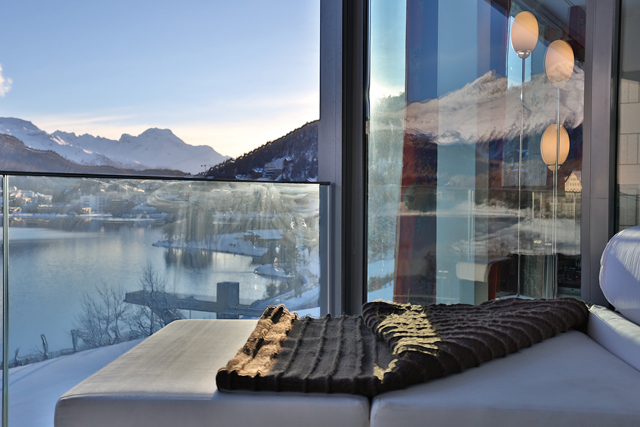 ST MORITZ: Lakefront duplex, Aylesford, €14.2m. Eat Talvo by Dalsass (www.talvo.ch). Run by the South Tyrolean Martin Dalsass, a ‘master’ of olive oil and pure ingredients or la cucina sincera, this one-starred restaurant is full of smartly attired locals from the Suvretta, St Moritz’s prime area. Try Turbot with courgette flowers, Taggiasca olives and datterini tomatoes. Buy Property on the open market is rare, but Christie’s International Real Estate are selling a modishly modern eight-bedroom chalet with lake views (POA; www.christiesrealestate.com). Aylesford International have an exceptional lakefront duplex apartment (above)—with six bedrooms—next to the famous Badrutts Palace Hotel at €14,230,000 (www.aylesford.com). A classy resort groaning under the weight of Gault Millau points (about 230), but surprisingly light on Michelin stars. The ancient Bahnhofstrasse offers Le Capri, said by some to be the best Italian restaurant in Switzerland, and there is also After Seven and the Heimberg (all gained one star in 2014, but, as they have snowbird chefs, they’re only open in wintertime). 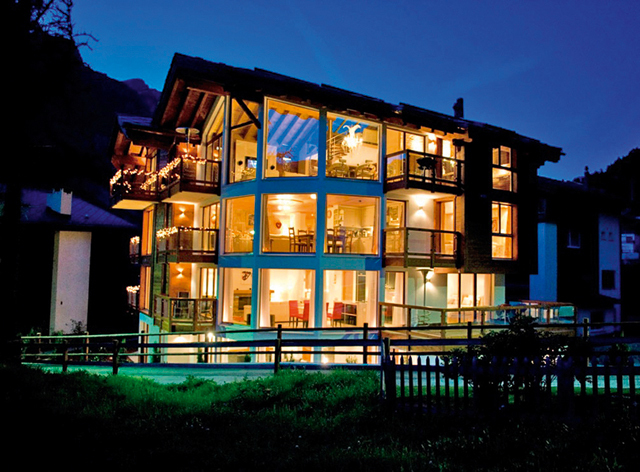 ZERMATT: Haus Pasadena, Investors in Property, £1.6m. Eat Le Capri (www.montcervinpalace.ch), overseen by the Ischian chef Andrea Migliaccio—who has two stars at his L’Olivo restaurant in Anacapri. Try Meat dishes from the charcoal grill. Buy There are thin pickings for non-Swiss residents, but Aylesford International are selling four-bedroom Penthouse Nabucco with views of the Matterhorn for €9 million. Investors in Property have a two-bedroom apartment at Haus Pasadena for CHF2.4 million (above, £1.6 million) or one at a new Winkelmatten complex of apartments for CHF1.5 million (£991,000) (www.investorsinproperty.com). France’s most famous climbing resort is going upmarket and, alongside brands such as Chanel and Swarovski (Cartier is rumoured to be on its way), there are two hotel-based Michelin-starred restaurants, Albert Ier and Le Bistrot. ‘Although the Le Bistrot [one star] has a contemporary feel, I prefer the relaxed ambience of Albert 1er [two stars] with its international mix of hotel guests. Its nine-course tasting menu is exceptional,’ says Knight Frank’s Chamonix associate Andy Symington. 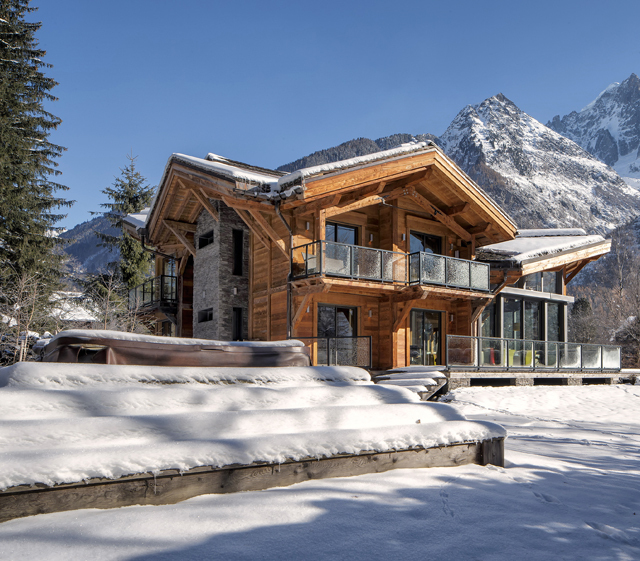 CHAMONIX: Cragganmore, Knight Frank, €4.5m. Eat Albert ler (www.V2hameaualbert. fr). Piedmont-influenced chef Pierre Maillet uses homegrown produce for hotel guests in jeans who’ve been visiting for years. Try Cut of wagyu beef, potatoes, country bacon and Reblochon. Buy Knight Frank have one of Chamonix’s new generation of über-luxury chalets in the 350sq m (3,767sq ft), six-bedroom Cragganmore (plus cinema, gym, climbing wall) for €4.5 million (above) and three-bedroom apartments at the centrally located Majestic from €720,000 (www.knightfrank.com). Alternatively, Winkworth are offering a six-bedroom, six-bathroom chalet at the nearby hamlet of Les Houches with views of Mont Blanc for €1.98 million (below, www.winkworth-international.com). 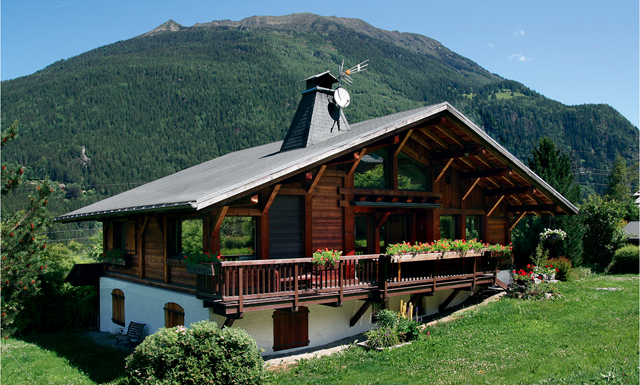 CHAMONIX: Les Houches, Winkworth International, €1.98m.